The People’s Committee of the central province of Quang Ngai on January 4 held the grand opening ceremony for its administrative service center. 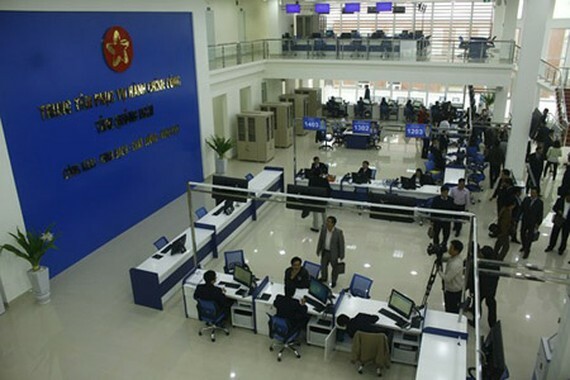 The largest administrative service center in Quang Ngai Province. Photo by Nguyen Trang. This is the biggest administrative office in the province, located at the address of 60-62 Hung Vuong Street, Quang Ngai city. The center receives, processes files and then returns results of administrative procedures for all 16 departments in the province. In addition, new services like process tracking through Zalo or SMS, notices from the switchboard on early completion or late application results along with apology, citizen and organization satisfaction surveys on online administrative procedures are implemented for the first time, resulting in a 30-40 percent increase in the on-time file process rate. With the total investment of VND34 billion ($1,466,004) by the province’s Project Management Board, the center’s construction started in early 2018. During its nine-month piloting phase, it greeted and performed administrative services for 18,500 clients. The center also provides the express administrative service within 3 working days.